After losing their bid for re-election Board of Trustee President Madeline Shapiro (Area 5) and Trustee Member Mary Ann Pacheco (Area 3) attended their last board meeting Nov. 14th in the boardroom. Newcomers Rosaelva Lomeli, who is replacing Pacheco, and Oscar Valladares, who is replacing Shapiro, will be sworn in Dec. 12th. 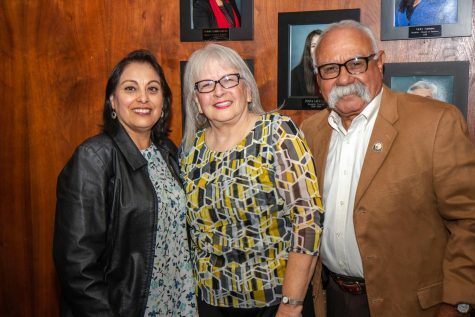 It was an evening of heartfelt goodbyes as the two now-former trustees received commendations and certificates for their lifetime service to Rio Hondo College. Shapiro was a former educator in East Whittier City School District for over 24 years before becoming a trustee in 2009. Pacheco was a former full-time English professor at Rio Hondo College for 37 years before she was elected to the board in 2011. The offices of Majority Leader Ian Calderon sent Ruby Calderon to present certificates for trustee Shapiro and trustee Pacheco. “Thank you for your outstanding and dedicated service to the students of Rio Hondo College. Your efforts were truly invaluable and will benefit our community for generations on behalf of the residents of the 57th District,” said Ruby. 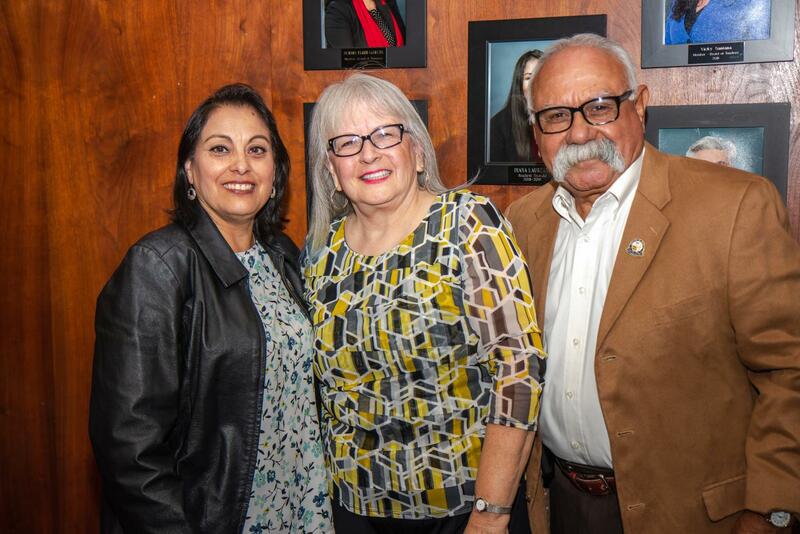 Mayor of South El Monte Gloria Olmos and her mayor Pro Tem Angel Richards were also in attendance to give their respects to trustees Shapiro and Pacheco. 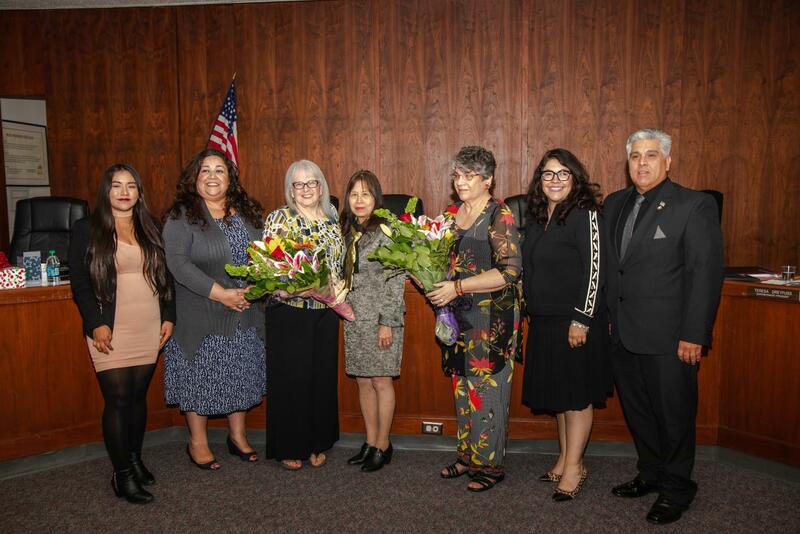 “I want to thank you for all your hard work, on behalf of the city of South El Monte, myself and Mayor Pro Tem and the council, for your commitment to teaching and education and for serving the students…You left a legacy behind of powerful women following in your footsteps…God bless you on your future endeavors,” said Mayor Olmos to Shapiro. Mayor Pro Tem Richards also praised Pacheco’s legacy of advocating for students from South El Monte and the district as a whole. The offices of some of California’s Democratic leaders sent commendations and certificates for both Shapiro and Pacheco. From Senator Dianne Feinstein to Congresswoman Linda Sanchez and assemblymembers Cristina Garcia, Ed Chau, and Blanca Rubio, as well as the mayor of Whittier Joe Venatieri. “Trustee Shapiro was here when I was first elected…Thank you for your mentorship and support. 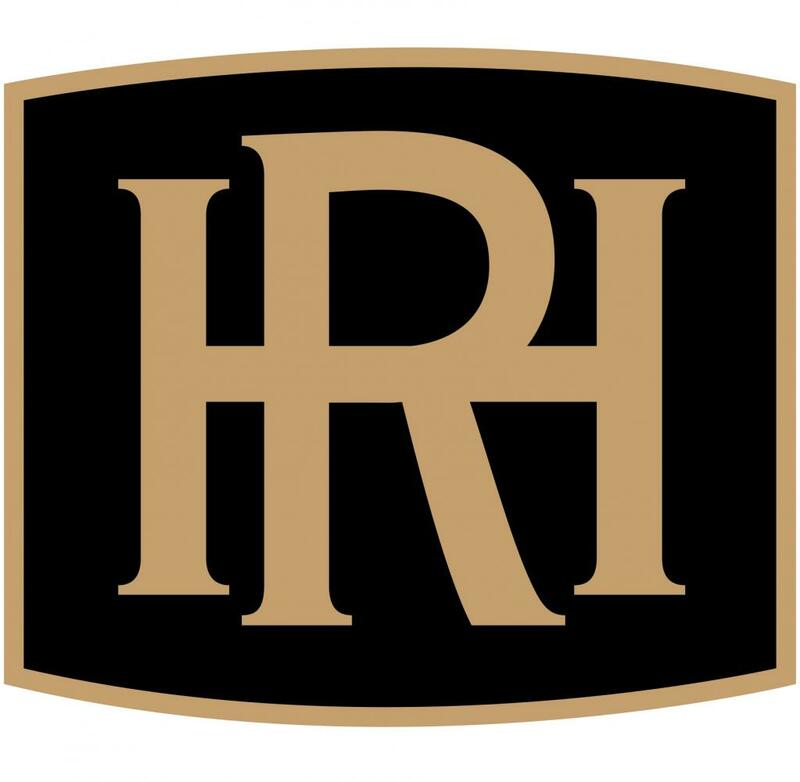 A lot of the initiatives that we have here at Rio Hondo College, the fact that we are student-centered came from the heart of the board of trustees and in that way we have no differences amongst us. We all came from the same place. Madeline, thank you for your service, you will both be missed. 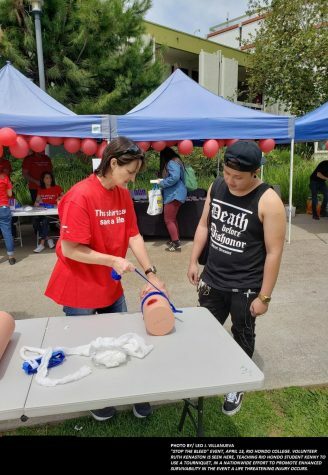 It’s kind of ironic that now that you’re retired you have all this time to be our second ambassadors your time on the board is also coming to an end,” said board member Vicky Santana. Shapiro took a moment to speak to the board and that she had been advised to talk about her tenure here and accomplishments, but admitted she felt uncomfortable doing so. Instead, she decided to speak about what she has learned in her time as a board member. Some of us are less concerned with the common good and more concerned with a self-serving agenda and those so inclined seem to pursue those agendas relentlessly to the detriment of all. I understand that during the course of the election some staff members stated that they hated me. It saddens me profoundly. There is much too much hatred in the world today. It mustn’t find a place at Rio Hondo College. Those in attendance at the meeting wished both Shapiro and Pacheco the very best in their future endeavors. A version of this article appeared in the Tuesday, Nov.20 print edition. Email Diana Juarez at diana.juarez8805@my.riohondo.edu.